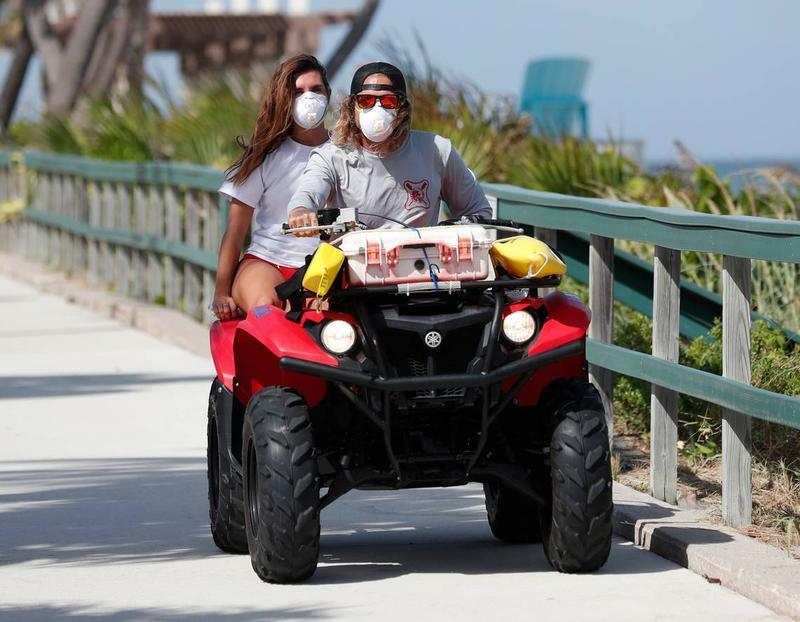 Palm Beach County Ocean Rescue workers wear masks as they ride an all terrain vehicle along Lake Worth Beach on Tuesday. 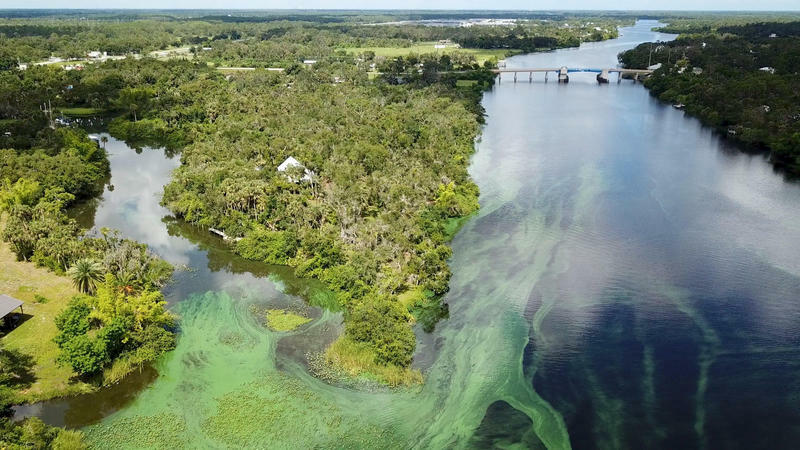 Lab tests confirmed “medium concentration” of algae linked to red tide off Haulover Park, according to a statement issued early Monday by Mayor Carlos Gimenez. 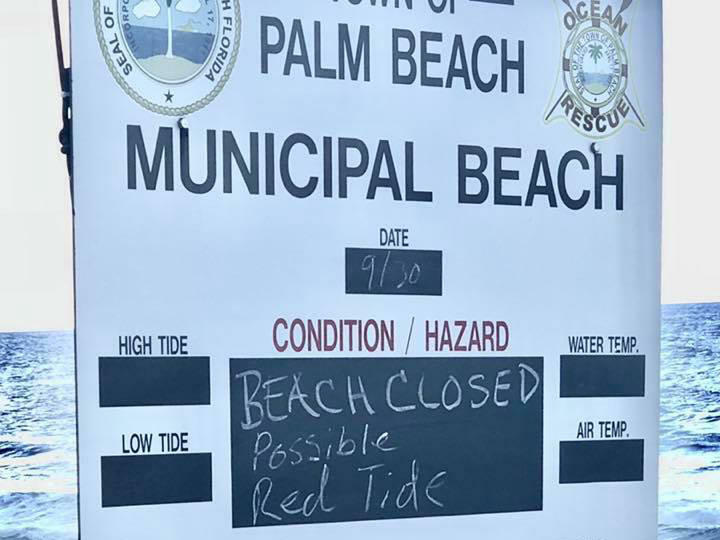 Farther south, tests off Miami Beach and Key Biscayne were “in the very-low to low range.” The levels were too low to prompt beach closures south of Haulover. 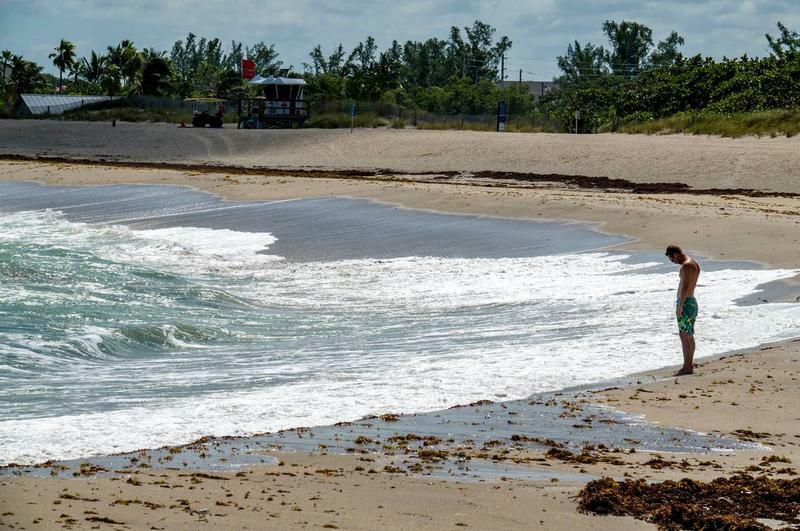 Haulover Inlet is in North Miami-Dade, around 10800 Collins Ave., north of Bal Harbour. 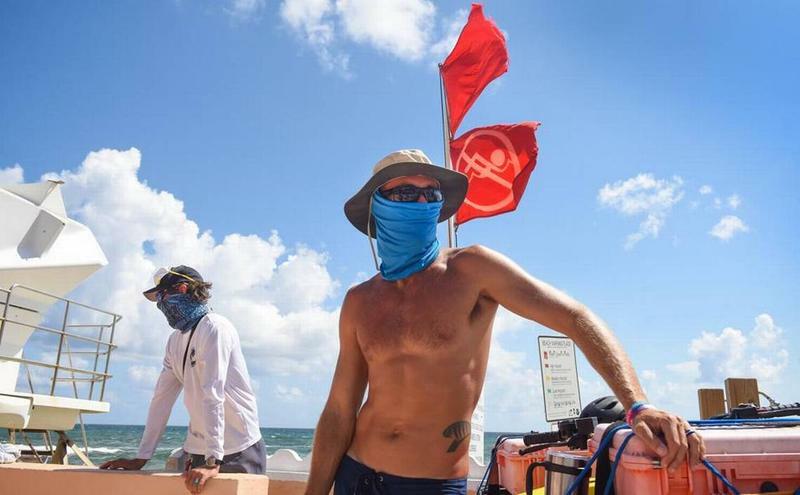 Red tide is rare on Florida’s east coast, but was confirmed in Palm Beach County on Monday after weekend beachgoers complained of symptoms linked to the toxic algae. 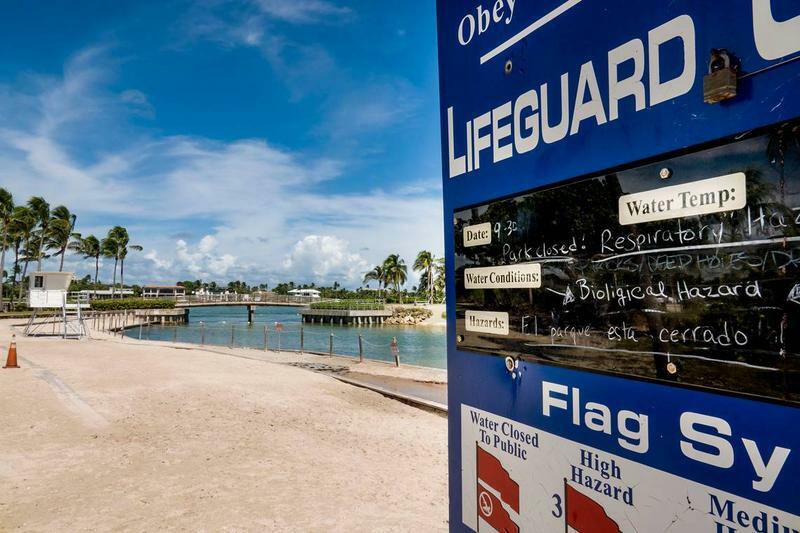 Beaches were closed Sunday.